On Friday, Nov. 17, West Side Founders Richard and Mary Benck signed over $1 million to employees as a thank you for their hard work in contributing to the success of the company. 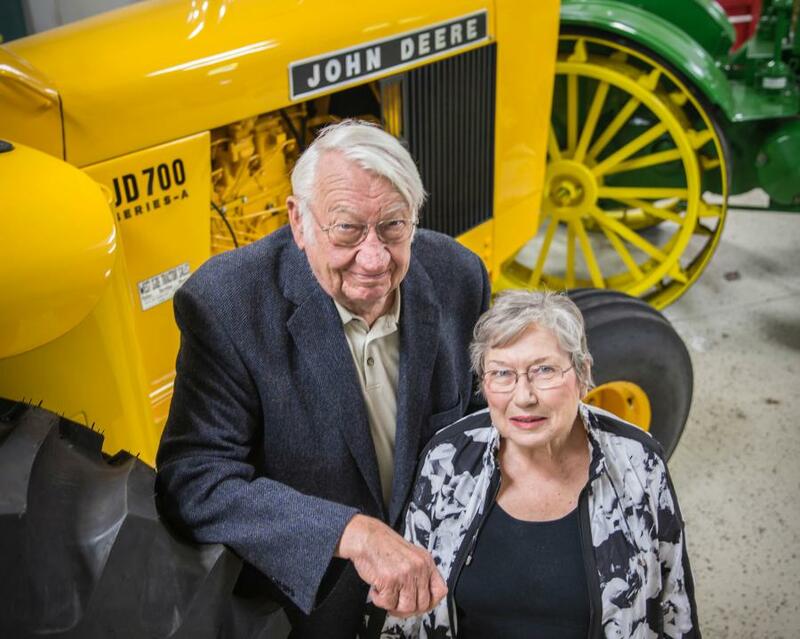 West Side Tractor Sales, a Naperville, Ill.-based John Deere construction and forestry equipment distributor – surprised employees with an early holiday gift. On Friday, Nov. 17, West Side Founders Richard and Mary Benck signed over $1 million to employees as a thank you for their hard work in contributing to the success of the company. The gift, from their personal estate, was divided up to employees based on their years of service. West Side is a third generation family business celebrating its 55th anniversary this year. Rich and Mary Benck grew up on farms near Lowell, Ind. “Neither of our families had very much but a value for hard work,” said Mary Benck. They married in 1951 and for the next four years, the U.S. Air Force took them to Miami, Cheyenne and Darmstadt, Germany. After returning from the service, Rich went to work for a John Deere dealer as a technician on the south side of Chicago. They always dreamed of having their own business. When the opportunity came up to have their own dealership, they risked the little they had and pursued it. West Side started with a pick-up truck, two technicians and no line of credit… but they had some luck. Every year the company grew, and operations spread to Texas and into real estate ventures. Fast forward to 2017, West Side's footprint spans across two states, and RCE Equipment Solutions – a sister company – manufactures equipment for customers worldwide. West Side and its sister company, RCE, has more than 30 employees that have been with the company for 25+ years; with even a few employees that have been part of the team for 45 of the 55 year history! “We wish to show our deep appreciation to those who have worked for our family. We certainly hope that it brightens their day,” said Mary Benck. Business NewsWest Side Tractor Sales Co, Inc.
Business News West Side Tractor Sales Co, Inc.